Old fashion roll butter in paper wrapper. 1 or 2 lb units available. Real butter is delicate. The less you process it, the better it tastes. When you buy Amish Roll Butter from Wilson’s Cheese, you’ll appreciate the silky taste and hand-churned texture of this premium product. 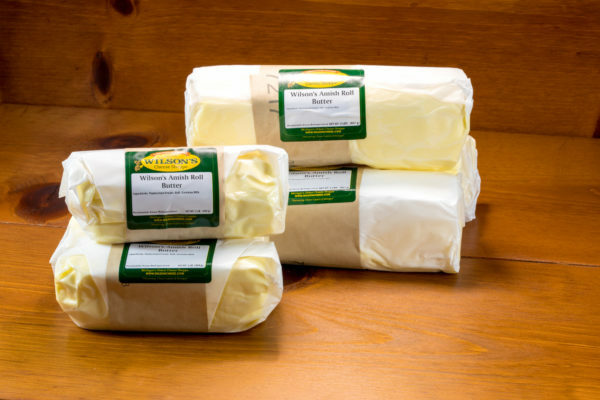 Our old-fashioned roll butter in a paper wrapper is great for baking! 1 lb. or 2 lb. roll.